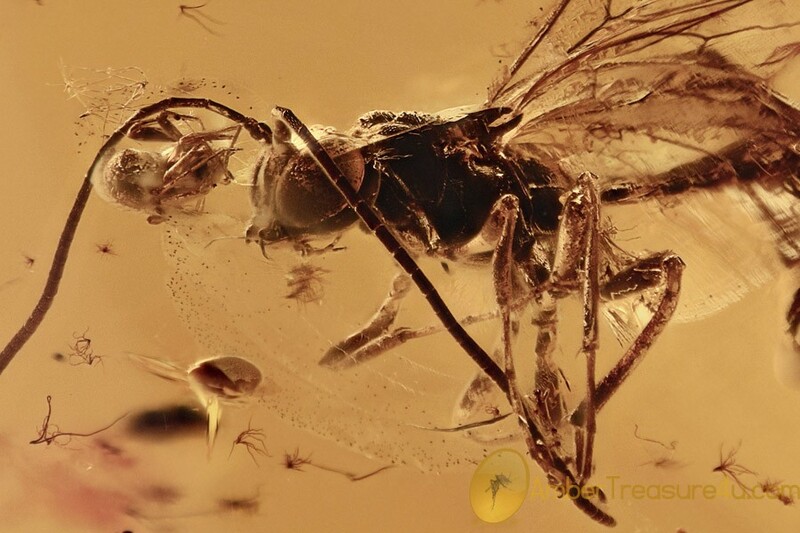 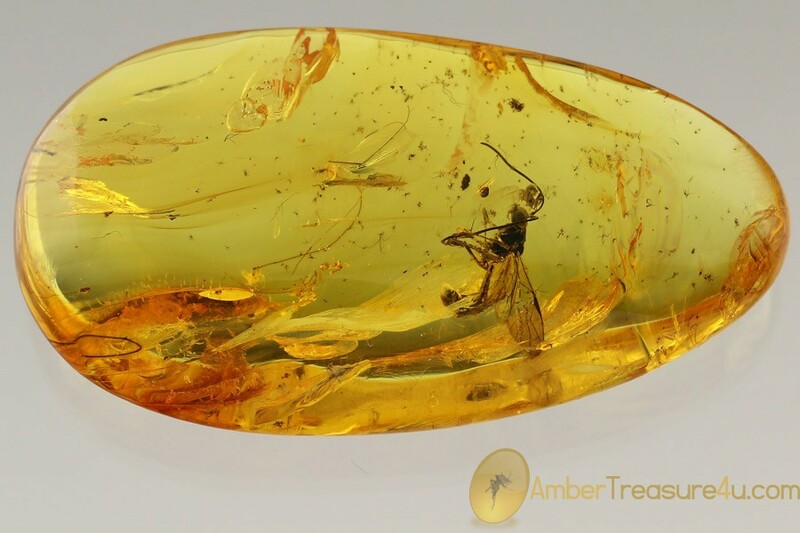 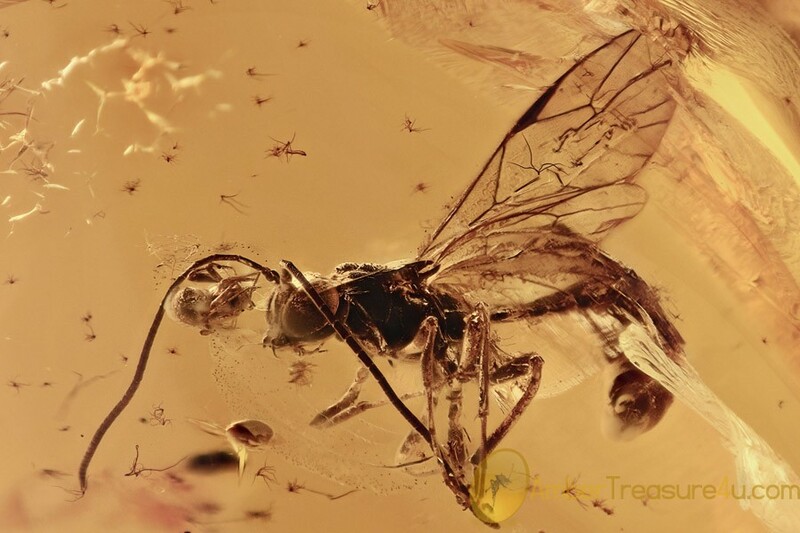 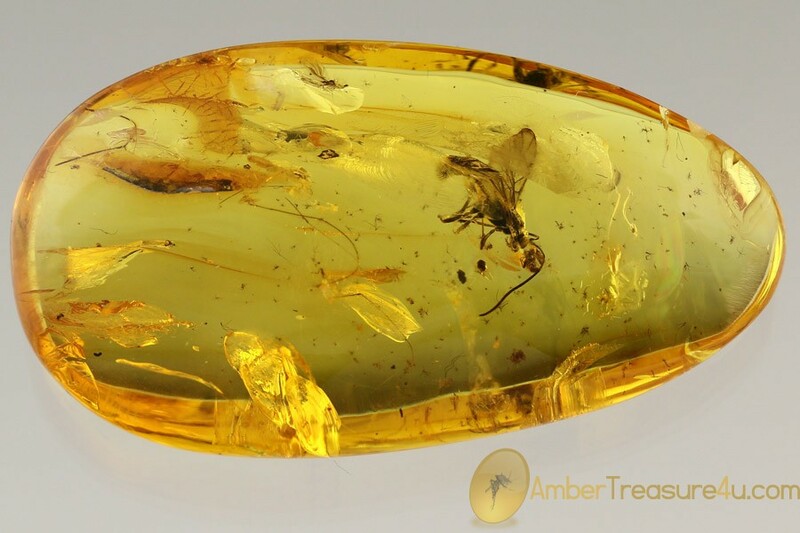 Baltic amber stone with fossil insects - giant parasitic wasp Ichneumonidae and small spider near it's head. 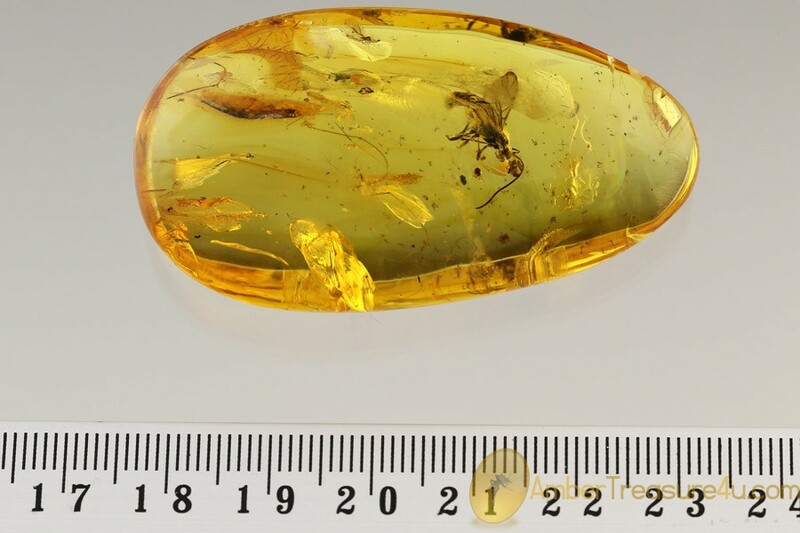 It weighs 12.8 grams. 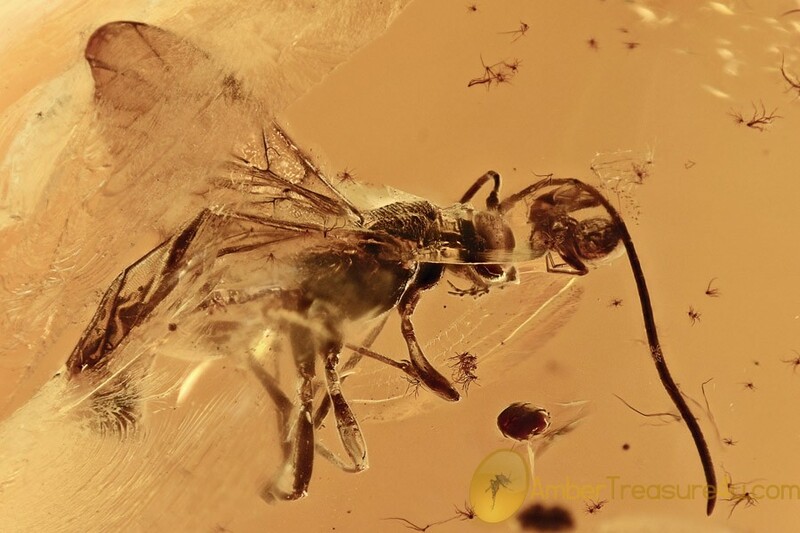 Measurements of stone 53x31x13mm, length of insect body and head ~ 8.5mm, max ~ 16mm.